Dog bites are becoming more common in California and around the country, and California ranks number one in the cases of dog bites. 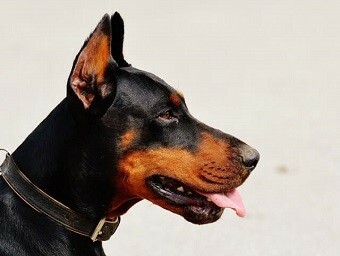 Some reports cite the increasing number of poorly bred dogs while others consider it a random process. Some breeds are statistically more likely to bite. However, even that lovable dog you share your home with can bite someone. Let’s take a look at the incidence of dog bites, injuries associated with them and how to be adequately compensated for financial damages. I’m Ed Smith, an Ione dog bite lawyer. I’ve helped many residents of Northern California who were injured by dog bites over the past 36 years. Dog bites can cause traumatic and disfiguring injuries that change the circumstances of the injured party’s life in an instant. Unfortunately, many people go it alone when making a claim against the dog’s owner or the insurance company. With millions of dog bites every year (4-5 million), only a small percentage (1-2 percent - roughly 16,000) of those injured are compensated. If injured individuals receive damages at all, the majority will obtain roughly a third of what they could receive if they had legal representation. At my law firm, we stand ready to help you if you were injured in a dog bite accident. We offer a free consultation to review your case and assess medical, psychological and financial harm resulting from the bite. Call us immediately after a bite at (209) 227-1932 or contact us online. Puncture injuries: These are common due to the nature of the dog’s dentition. Lacerations: Disruption of the skin surface can be both painful and dangerous since the skin provides protection for the body. Fractures: During an attack by a large canine, bites can fracture the bones in the hands or arms. If the person falls during the attack, other bones can be broken such as the ribs, legs, and pelvis. Crush injuries: This injury is caused by the significant pressure of a dog bite. If the hands are involved, not only bony structures will be destroyed but vital nerves in the hands will too. Loss of tissue: Depending on the extent, this can cause significant structural and cosmetic damage to the injured person. For example, facial structures such as the nose or eyes can be either partially or totally removed or damaged in the attack. Pasteurella: This bacteria is found in about 50 percent of dog bites. Usually, the site becomes red and is painful. It is most dangerous for those with a weak immune system. Capnocytophaga: Found in the mouth of canines, this bacteria causes infection after a bite, most commonly in those with a weak immune system. Methicillin-Resistant Staphylococcus Aureus (MRSA): Carried by dogs, this drug-resistant bacteria can cause not just skin infection, but overwhelming blood-borne infection. Rabies: A nervous system disease, rabies is fatal after the symptoms are visible. After a bite, it is a good idea to check on whether a dog has been vaccinated. Clostridium tetani: This is the bacteria that causes tetanus. If a person has not been vaccinated, they can develop this life-threatening disease. The Centers for Disease Control and Prevention reports that 900,000 people will have their dog bite injury become infected. Others will require reconstructive surgery to repair the damage left by the bite. According to MedicineNet, a dog’s rounded teeth and the pressure and strength exerted when biting down can cause severe damage. The damage is not just to the skin but to underlying muscles, nerves, blood vessels, and bones. Since the average dog can exert 200 pounds of pressure over each square inch when biting down, the results of crush injuries can be devastating. Dog bites result in numerous insurance claims each year in the United States. California is no exception and ranks number one in the number of claims and dog bite injuries. In 2017, there were 2,228 claims for dog bites filed with insurance companies in California. This is the highest number of dog bite claims in the nation. Data provided by the Insurance Information Institute states that the average cost of a claim in the state was $40,563 with more than $90 million paid out by insurance companies in 2017. However, considering the damage inflicted by a dog bite, particularly with multiple bites and the injuries inflicted, the average claim may not cover all the expenses incurred. By contacting a lawyer who is experienced with dog bite injury claims, the injured person may receive a more fair amount of compensation. Dog owners are responsible for injuries caused by their pets, whether on private property or public property under California Civil Code 3342, An exception is when the injured person was provoking the animal at the time. The landlord of a building may also be held responsible if it was known that an animal living in the building was vicious. The landlord may also be responsible if the dog escaped and caused an injury because the landlord was negligent in his/her duty to make appropriate repairs, such as a gate that was broken or fence in disrepair. I’m Ed Smith, an Ione dog bite lawyer. A dog bite can result in high damages, particularly if cosmetic surgery or hospitalization is required. Even minor bites can have psychological repercussions and involve visits to the doctor or emergency room. Unfortunately, children and adults are killed by dog bites or mauling. If this has happened in your family or if you were harmed by a dog bite, please call me at (209) 227-1931 to receive free, friendly advice. If you are outside the area, please use my toll-free number at (800) 404-5400. We will immediately begin to investigate your case and answer any questions you may have about your options. My team and I will question witnesses to the attack, and determine if the dog had a history of such behavior or if it was commonly left to roam unattended. If the owner has homeowner's or renter’s insurance, we will file a claim with the insurance company. Remember, homeowner’s insurance covers the owner whether the dog was at home or outside the residence and yard when the bite happened. Don’t go it alone after a dog bite. Call us and concentrate on what you need to do to move away from this traumatic experience.